Routes is a proud supporter of the People For Bikes movement! 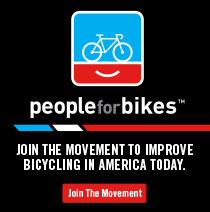 PeopleForBikes is the movement to make riding better for everyone. By collaborating with millions of individual riders, businesses, community leaders, and elected officials, they’re uniting people to create a powerful, united voice for bicycling and its benefits.